Birds, dogs and cats are now will be taken care by NGO's, volunteers and animal lovers of Pune. A basic necessity and easily accessible thing like water is surprisingly a huge task to locate for stray dogs across the globe. Not just the dogs, but even poor birds are deprived of water; no one is to be blamed for this except global warming and its consequences, which indirectly points to all of us. But, sadly animals have fallen prey to this and we are doing nothing about it. 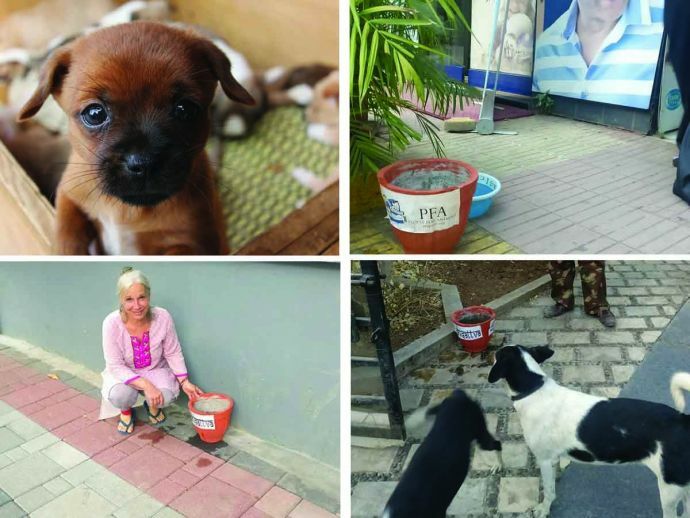 However, some animal lovers, NGO’s and commercial establishments of Pune have stood up with the concern of these animals and have started refilling clay pots and containers with water. To support their efforts, many hotel outlets and shops have started this benevolent act of serving water. 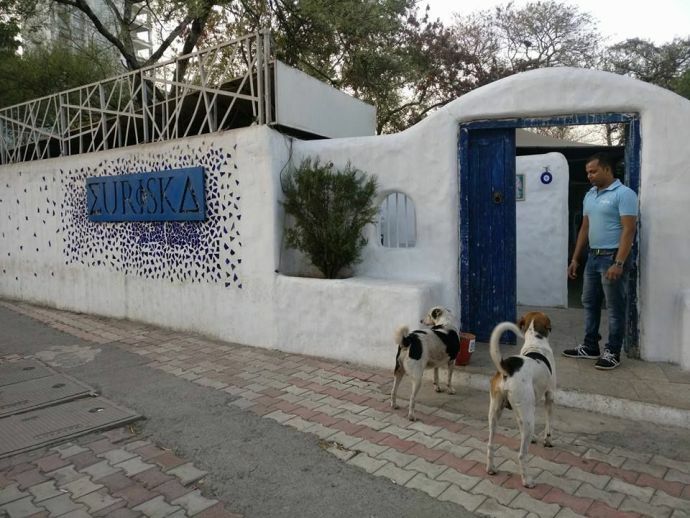 Popular restaurants like Night Riders, Terttulia, Little Next Door, Zamu’s Place, High Spirits, The Flour Works Prem’s and Euriska have extended their help in this act. 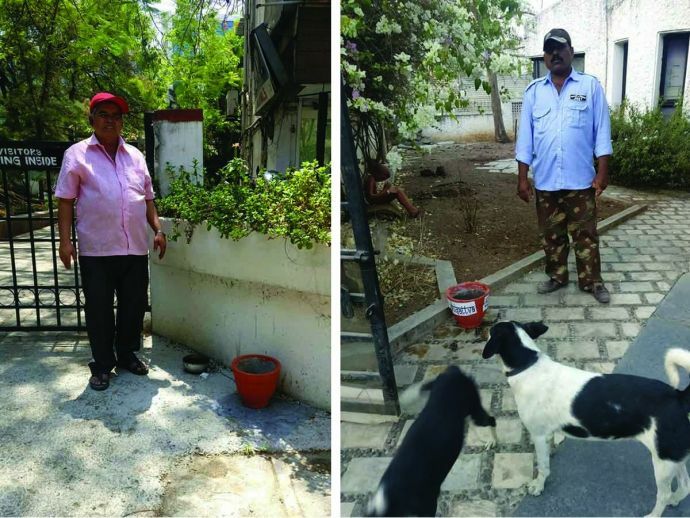 The shop keeper on Boat Club Road says that the least he can do is leave some water out for street animals, as they are the street guards and they protect our area. Often, people tend to just break or displace the bowls we keep for the animals. Now, many people are painting signs on them or placing stickers, and that seems to be helping a little. 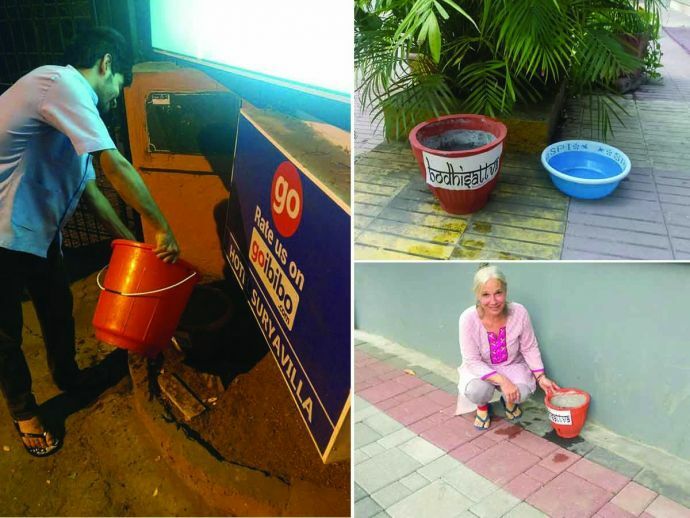 We crowd funded around 100 pots just from Good Samaritans on Facebook, at around Rs 70 a pot. We’ve also been lucky enough to find citizen volunteers as well as establishments that seem to be enthusiastic to undertake this simple activity. 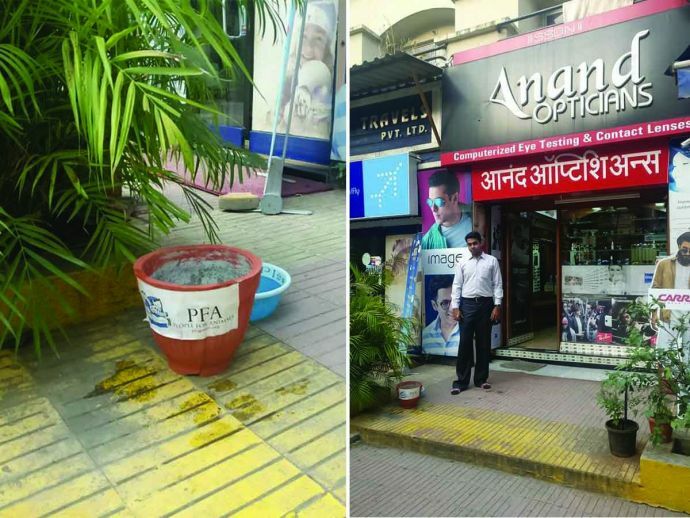 Head of People For Animals (PFA) Pune, Vineeta Vadhera came up with a brilliant solution for keeping the bowls safe. We cement our earthen pots in place, so that they cannot be easily shifted. They’re a little squat and wide, to be useful to smaller animals and birds, too. We found that existing animal lovers — a vegetable vendor here, an auto-rickshaw stand there — proved to be the most enthusiastic about taking this up. A single pot could impact at least 5-12 stray dogs on an average, and if more people are willing to take such pots from us (Rs 100 per piece), they could contact us on social media, or even do it themselves on an individual basis. A little compassion could go a long way in saving a life this summer. All images sourced from facebook.